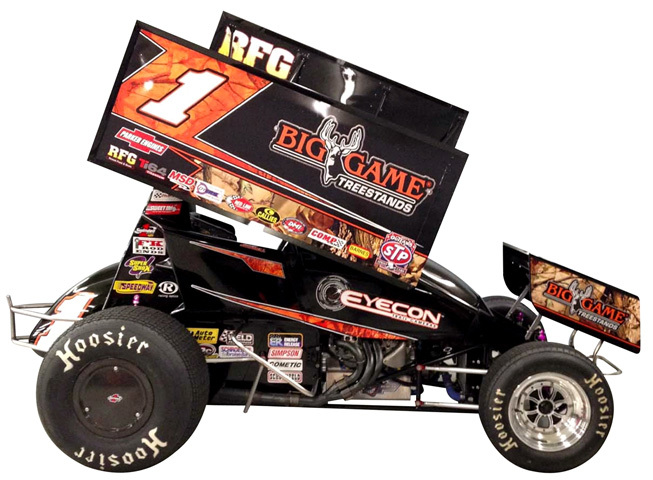 2014 Sammy Swindell #1 Big Game Treestands / Dirt Sprint Car diecast, by Action. The Sammy Swindell Motorsports #1 Big Game Treestands Dirt Sprint Car was raced by Sammy Swindell during the 2014 World of Outlaws STP Sprint Car Series season. 3x World of Outlaw Champion Sammy Swindell has accumulated over 300 WoO Sprint Car feature wins during his career.